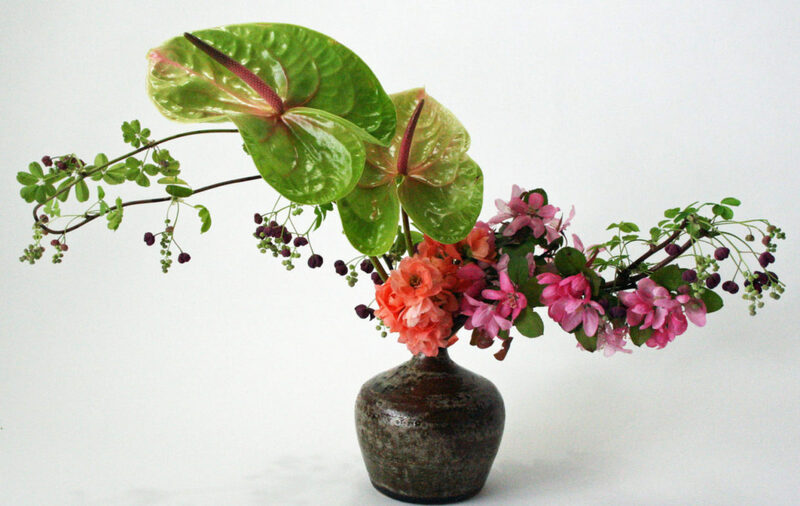 From my Saga Goryu Ikebana class this past week “Heika-Chokuseitai Maedome”. I’ve been studying this wonderful classical school of ikebana for a year now. 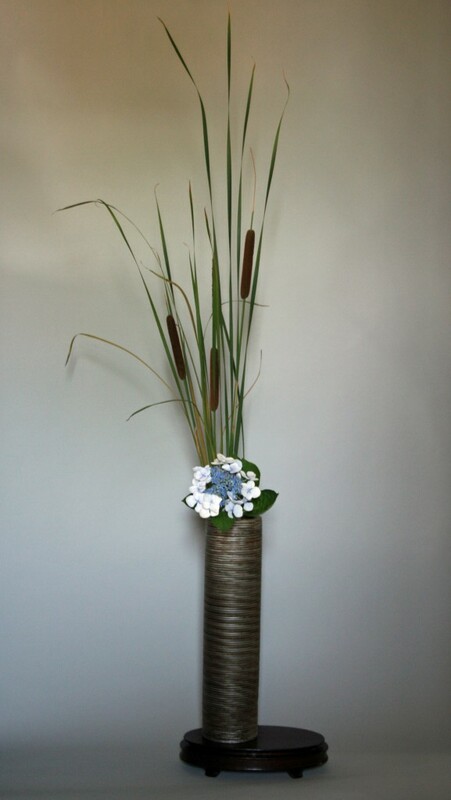 It’s adding to my knowledge of ikebana and helping me to be more centered. Another nice aspect is that is has made my Sogetsu Ikebana seem much easier, maybe it’s the contrast between the rules of the classical Saga and the avante-garde freedom of expression in Sogetsu. It’s an interesting contrast, and this heika was a refreshing way to welcome summer.